Home news I HAVE ROCKET MAN CD FOR NORTH KOREAN LEADER KIM JONG-UN SAYS TRUMP. I HAVE ROCKET MAN CD FOR NORTH KOREAN LEADER KIM JONG-UN SAYS TRUMP. Washington (CNN) it didn't take a long, long time for President Donald Trump to start bestowing gifts on North Korean leader Kim Jong Un. 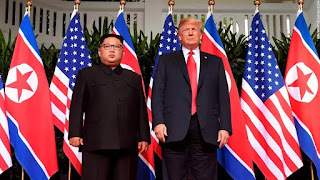 The President of the United States confirmed on Tuesday morning that he plans to give a copy of the Elton John hit song "Rocket Man" to the dictator of North Korea, who he met with during a summit in Singapore last month to discuss denuclearization. "They didn't give it, I have it for him, they didn't give it, but it will be given at a certain time," Trump said when asked about the CD during a gaggle outside the White House Tuesday morning before departing for the NATO summit. "I actually do have a little gift for him, but you'll find out what that gift is when I give it," he added. Secretary of State Mike Pompeo was in North Korea this week and took along a copy of the British singer's CD with the "Rocket Man" song that Trump had signed, but Pompeo did not meet with Kim this time around so he brought the gift back to the President. According to The Chosun IIbo, a South Korean newspaper, Trump and Kim discussed "Rocket Man" during a lunch between the two in Singapore last month. Kim mentioned that Trump had referred to him as "Rocket Man" last year when North Korea was engaging in nuclear tests and missile launches. Trump apparently asked Kim if he knew the song and Kim said no. Trump remembered the conversation and told Pompeo to take a CD with the song for Kim. Trump started calling Kim "Little Rocket Man" or simply "Rocket Man" last year as an insult. 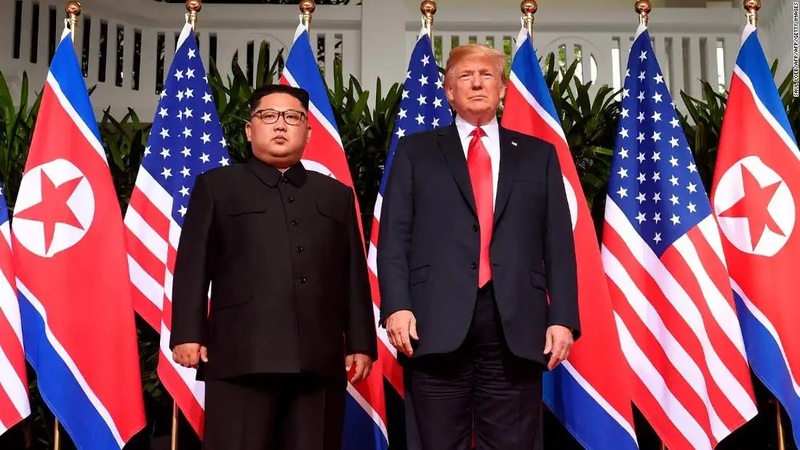 However, Trump has recently been criticized for his praise of the North Korean dictator, calling him "honorable" and touting their chemistry. The goal of Pompeo's latest trip to Pyongyang was to negotiate the details of the nuclear agreement Trump signed along with Kim. North Korea criticized Pompeo's "gangster-like" demands in negotiations and said the "attitude" of the US was "regrettable", while Pompeo signaled "progress" in the talks between the two nations.